Mishra concedes that a break as a playback singer is not nearly as difficult as fulfilling the responsibilities that come with the expectations. 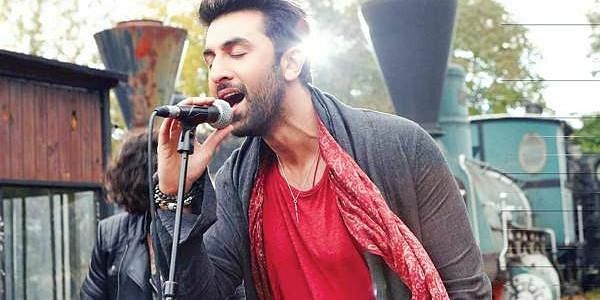 When he lent his voice for Ranbir Kapoor’s Sufi rock number, Bulleya, in Ae Dil Hai Mushkil, he had the entire country’s attention. When the song garnered over 80 million views on YouTube, 27-year-old Amit Mishra knew he had arrived. Mishra shares, “When this song released, I didn’t expect this much appreciation from people, but everyone loves it now. People want to hear the song live. But the best thing for me was that I was delivering the song for the living legend himself, Mr Pritam Chakraborty (composer).” We catch up with the Lucknow-born, as he tours the country . Though the singer is trained in classical music and is also known for his songs like Manma Emotion (Dilwale) and Sau Tarah Ke (Dishoom), he says getting into films has always been his dream. Though Mishra concedes that a break as a playback singer is not nearly as difficult as fulfilling the responsibilities that come with the expectations. “The competition is cut-throat. But everyone gets a chance. They (the industry) just want one thing —that the singer is disciplined and know their responsibility. It is serious business for us. Studio work has always been my priority,” says the Mumbai-based singer. Mishra also feels that music industry in India is filled with a pool of talented singers and adds, “Reality shows do give opportunities to talents, but one has to be prepared for the work that follows. There is travelling, concerts, and studio recordings,” says the singer, who loves light Indian music with a preference for thumri, Indian folk and dadra. He is also a fan of legends like Kishore Kumar and Mohammed Rafi.